The Cavs are facing the Warriors for the fourth year in a row. Is the NBA getting too predictable? The NBA Finals are underway, and for the fourth consecutive year in a row, the Cleveland Cavaliers are taking on the Golden State Warriors. While I can't speak for everyone, I know the vast majority of fans are tired of it and believe the NBA has become boring and stale. Out of all four of the "Big Four" sports leagues (NBA, NFL, MLB, and NHL), the NBA has the most boring and predictable playoffs and it isn't even close. 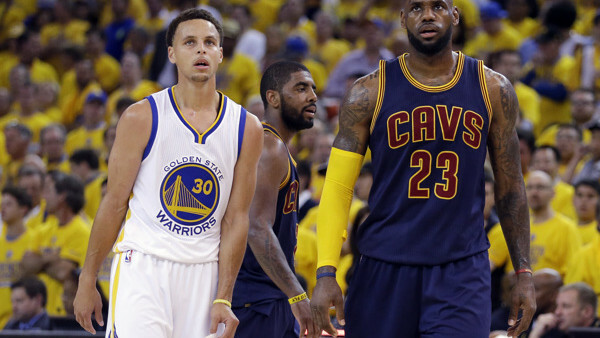 Here's a stat: Before 2015, no two teams EVER played in the NBA Finals more than twice in a row. Now the Cavs and Warriors will be in the NBA Finals for the fourth consecutive year. Although the Cavaliers struggled to get to the Finals this year, and the Rockets pushed the Warriors to a Game 7, almost everyone predicted before the season began that this would be the Finals matchup. And here we are. Dennis Stansfield hasn&apos;t written a bio just yet, but if they had... it would appear here.